Do you use current events in Arizona classrooms? 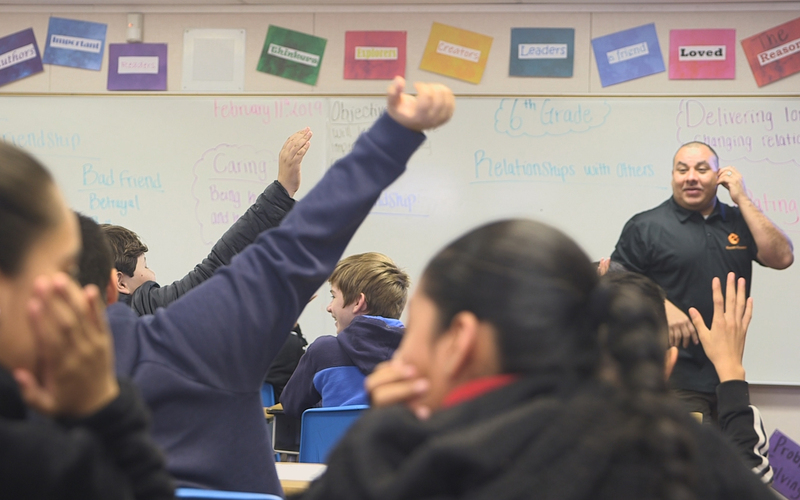 Cronkite News wants to understand how journalism can work for Arizona teachers. We’re exploring how to deliver and present stories in a way that teachers and students can use inside and outside of the classroom. A USC baseball commit, Oklahoma football commit and star sophomore basketball player all play for the Pinnacle basketball team. Education Week ranked AZ 45th in the country for education, amidst belief that Gov. Ducey’s proposed budget may help schools. On the heels of Martin Luther King Jr. Day, the University of Arizona introduced the football program’s first African-American head coach. A $100 million investment in K-12 education makes up 80 percent of Gov. Doug Ducey’s proposed fiscal 2019 budget. At least 1,500 to 2,000 refugees under the age of 18 and need schooling and other training to help them adjust. School administrators handle a mountain of stress and conflict as they fulfill their passion as educators. Four times a year, Arizona principals and superintendents meet for training to learn how to manage that stress.